See? 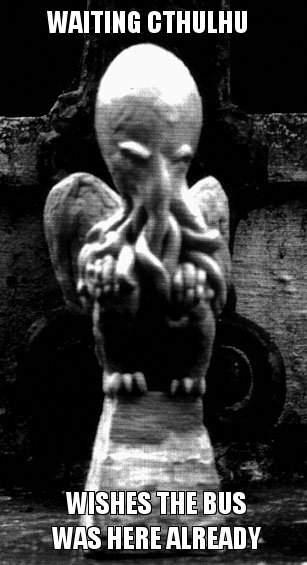 Cthulhu is jus’ a reg’lar guy, like you or me. The blind have no notion of time. The things of time are hidden from them too.